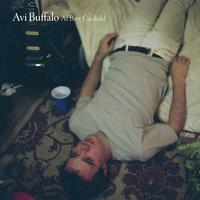 Avi Buffalo's sophomore album is a quirky yet comforting set of songs driven by refined pop songcraft and sneaky moments of grandeur that stick in the brain. At the ripe old age of 23, Avi Buffalo is ready to take on the world (again), and he's made sure the second time around will be just as memorable as the first. At Best Cuckold was recorded at Tiny Telephone, the analog-friendly San Francisco studio run by John Vanderslice (whose Bowie tribute Avi contributed to), engineered by Jay Pellicci (The Dodos, Deerhoof, Sleater-Kinney) and Nicolas Vernhes at Rare Book Room studio in Brooklyn.